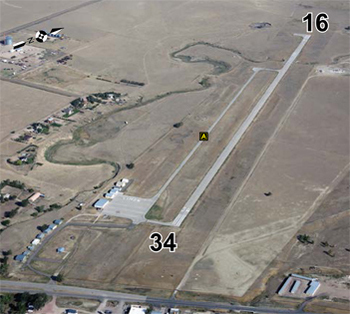 The Colorado Aeronautical Board (CAB) has approved this year’s airport grant funding for Colorado airports. The unanimous decision authorized the distribution of $2.7 million in state aviation fuel tax revenues through grants to 27 Colorado public use airports under the Aviation Discretionary Grant Program administered by Colorado Department of Transportation’s Division of Aeronautics. The grants ranged in size from $8,333 to $250,000. They represent State of Colorado participation in a wide variety of projects, totaling $71.7 million, to improve safety and infrastructure at airports all across the state. Airport projects must include local and/or federal fund participation in order to receive Colorado discretionary aviation grants. A 2013 Economic Impact Study of Colorado Airports showed that the airports support 265,700 jobs statewide and create a total economic output of $37.6 billion annually. Colorado legislation was created 1991 to develop and maintain the Colorado Aviation System through taxes collected on aviation fuel sold within the state. There are no general funds used to meet the needs within the Colorado Aviation System, the needs are funded solely through the taxes collected by those actually using the aviation system. Grant application received from Colorado public use airports are evaluated by CDOT Division of Aeronautics staff and approved by the Colorado Aeronautical Board. The Governor then reviews the grant applications and issues the final go-ahead. The Colorado Airport System consists of 74 public use airports that support over 265,000 jobs, provide $12.6 billion in annual payroll, and $36.7 billion in total annual economic output for the State of Colorado. More information can be found at Colorado-Aeronautics.org.